The government, experts and scholars of different religions on Thursday urged people from across the board to stand united against hatred and all forms of bigotry and terror following a mass shooting in New Zealand targeting two mosques, which has left at least 49 dead and many others critically injured. Addressing a peace conference at the Darul Uloom Hanfia seminary in Gulberg, they strongly condemned the mosque attack as heinous and cowardly and expressed their deepest sympathy and condolences to the families of the victims and wished a full recovery to those who were injured. 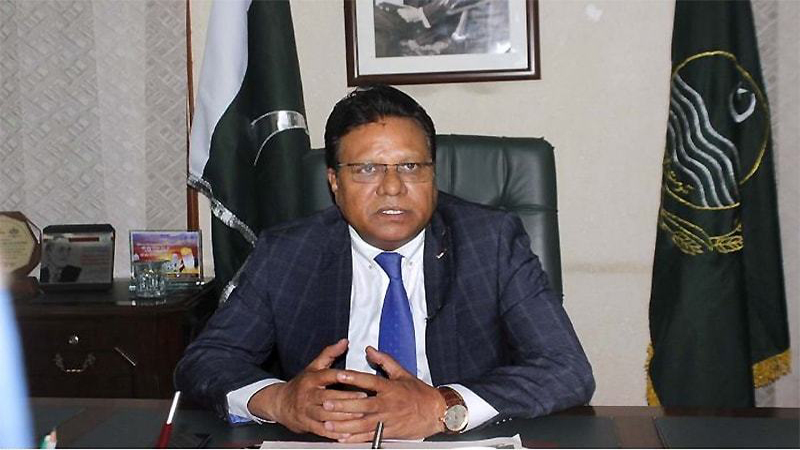 In his address, Punjab Minister for Human Rights and Minorities Affairs Ijaz Alam Augustine said that the international community especially the Western countries have realized now after the mosque attack in New Zealand that terrorism has no religion. “We must believe that terrorism in all its forms and manifestations constitutes one of the most serious threats to peace and security,” he said. Pointing out discrimination in some parts of South Punjab, he suggested the need of more work in other parts of the province for peace and peaceful coexistence. “We have to focus on other parts of Punjab as these areas need more efforts to create suitable environment for all communities,” he said. “Our government is trying to address mainstream demands of all religious minorities,” the minister said. FACES Pakistan President Javaid William suggested changes in some laws to protect communities following the decision of the New Zealand government to amend laws to protect their society. “There is a need to spread the message of love and peace in Pakistan,” he said, adding that Pakistan is home to all communities and they always pray for the prosperity of their homeland. This peace conference is a series of a Pakistan Day events, arranged by the FACES Pakistan and the Interfaith Dialogue Forum. Kul Masalik Ulema Board Chairman Maulana Asim Makhdoom paid tribute to founders who made the creation of Pakistan possible andemphasized the importance of peace and stability for the national progress. He also paid a rich tribute to the martyrs of the Pakistan movement. The participants called upon to cooperate to eradicate the culture of hatred, fanaticism and extremism from the society. Islamic scholars Hafiz Shoaib-ur-Rehman, Mufti Ashiq Hussain Shah, Maulana Nadeem Sarwar Jallundhry, Hafiz Noman Hamid, Shakeel-ur-Rehman Nasir, and others also addressed the event. On the occasion, Father James Chanen, Sajid Christopher, Pastor Emmanuel Khokhar, Amarnath Randhawa, Pastor Saleem Akhtar, Pastor Amjad Niyamat also shared their opinion.